Join the Georgia Conservancy and Coosa River Basin Initiative (CRBI) on July 13 for a day paddle on the beautiful Lower Etowah River. 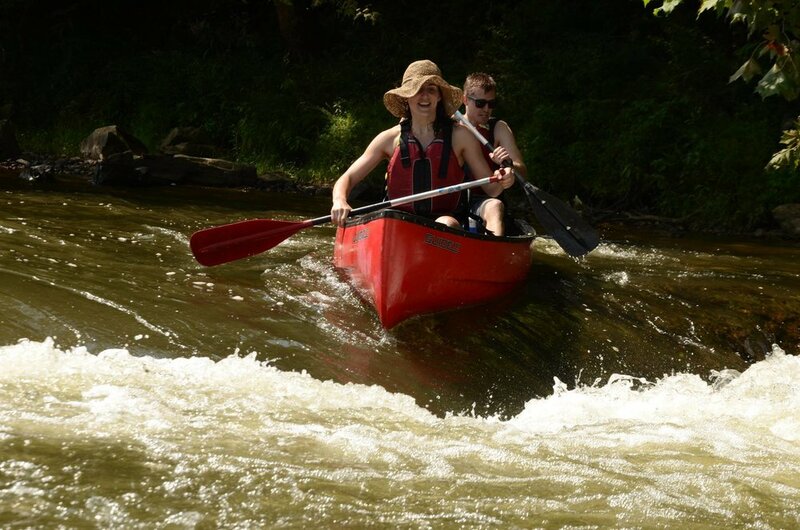 Beginning in the town of Euharlee, located between Rome and Cartersville, the 9-mile paddle is perfect for a relaxing summertime exploration of North Georgia’s Etowah. Paddlers will meet at Euharlee Bridge Landing at 9 AM to begin a Georgia Conservancy and CRBI facilitated shuttle*. Getting on the water at Euharlee Bridge at 10 AM, our 9-mile paddle will take roughly 4 hours to complete, with many opportunities to rest, eat and cool off in the river, before ending at the U.S. 411 Boat Landing. About CRBI: CRBI is a 501c3 grassroots environmental organization based in Rome, Georgia with the mission of informing and empowering citizens so that they may become involved in the process of creating a clean, healthy and economically viable Coosa River Basin. Since 1992, our staff, board and members have served as advocates for the wise stewardship of the natural resources of the Upper Coosa River basin, or watershed, which stretches from southeastern Tennessee and north central Georgia to Weiss Dam in Northeast Alabama. This includes the Coosa River, the Etowah and Oostanaula rivers and the tributaries of these waterways as well as the land drained by these streams and the air that surrounds this land area. Trip Price: Day Paddle Pass - $40 *Does not include boat rental. To rent a boat from CRBI, please choose boat option from registration menu below. *Registration opens to Georgia Conservancy members on April 15 at 5 PM and to the General Public on April 17 at 5 PM. The Lower Etowah River Paddle is one of our twelve Heartland Rivers of Georgia trips featuring camping, paddling and stewardship in south and central Georgia. The series brings to light conservation efforts, economic development and recreational opportunities on the Flint, Ochlockonee, Ocmulgee, Ogeechee, Chattahoochee, Altamaha, Satilla, Savannah and Yellow rivers, as well as Spring Creek near Bainbridge.